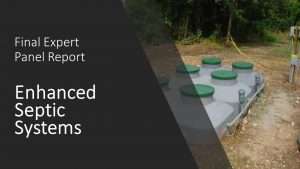 Though not typically included in the urban stormwater sector, there are also opportunities to achieve pollutant reductions through upgrades to residential septic systems and small wastewater treatment plants. 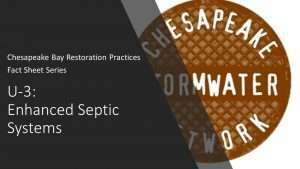 Septic systems, especially older ones, are very prone to nitrogen leaks. Upgrading the pre-treatment tank or making enhancements to the drain field can be effective nitrogen reduction strategies.